With the exception of South Australia, every state of Australia has had a female Premier, all of whom have represented the Australian Labor Party. 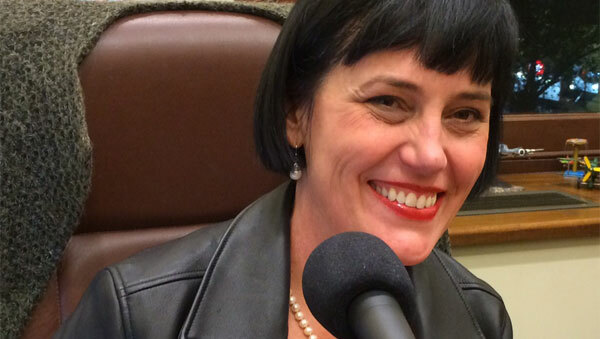 Tonight, our special guest is the Parliamentary Secretary to the Minister For Health, Leesa Vlahos. Leesa shares her journey to politics and belief in her role in the political process and along the way we learn of her influences and challenges. Leesa has also provided the SA Drink Of The week. Later in the show, she’ll be asked to robe up and be a guest judge in The Adelaide Visa Council. In the MADE TO MOVE MINUTE, Max Martin discusses food for humans: the food industry’s experiment with a dodgy ethics department. Nature’s Step Organic Wild Fermented 2011 Chardonnay by Light’s View Wines. Tasting notes. This week: Food for humans: The food industry’s experiment with a dodgy ethics department. Leesa was first elected to South Australian House of Assembly in the March 2010 election as the Member for Taylor. She currently holds office as the Parliamentary Secretary to the Minister For Health and assists in a range of portfolio areas. Tonight, we cover life in politics, differing views on The Repat, women in parliament, and a range of other topics from music on a walkman to abseiling. And our song this week, Kylie Brice Trio – Journey To Myself, suggested by Adrian Miller from the Radio Adelaide Monday night music program, Songcatcher.